Iron Horse Timber & Land, Inc. Comment: I would like to get an estimate to have a wall down my driveway replaced. It is 60 yrs old and breaking apart. I'd like it to be built out of cinder blocks. 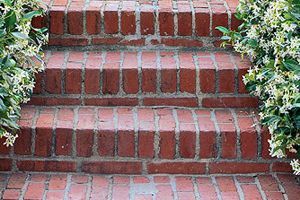 Comment: I would like to get an estimate for Brick and Stone Patios, Walks, and Steps - Install interlocking pavers or Existing brick patio brick needs restored and some are broken. Need recommendation. Comment: Need wall down driveway replaced. Is 60 yrs old and breaking apart. Comment: Stone veneer installation on approximately 200sq ft. Comment: need top region of fire place exterior top point and tucked. Johnstown Brick & Stone Masonry Contractors are rated 4.81 out of 5 based on 95 reviews of 8 pros. Not Looking for Brick & Stone Contractors in Johnstown, PA?